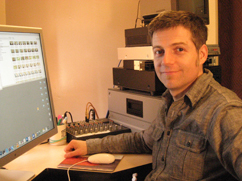 A graduate of York University’s Film and Video program, Jason has been actively writing, directing, editing, and producing video and theatre for the past twelve years. In 2002, he released his first video short, Picking Lucy’s Brain, which explored what would happen if Lucy Maud Montgomery returned as a zombie to witness her own legacy firsthand. In 2004, Jason was responsible for rewriting the walking tours for Tourism Charlottetown’s Confederation Players program. Besides incorporating historical information into a walking tour of Charlottetown, this also required writing fictional, but historically accurate, vignettes of actual characters and events. Jason is the producer and a writer for PEI sketch comedy troupe, Sketch-22, producing seven summer seasons, as well as writing, directing and editing many episodes of the group’s web series, Bunkerdown. His short, Lucky 7, won the 2010 CBC 3-2-1 Award. His music video, The Way We Do’er, was nominated for a Music PEI’s 2011 Music Video of the Year. 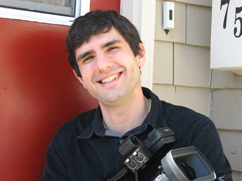 Since 2002, Jason has been a writer, director and editor with Moses Media. There, he has been involved in a wide variety of video and multimedia projects, including thirty second television ads, corporate presentations, instructional videos and promotional pieces. Currently a camera operator and editor at Moses Media, Joey has been involved in a significant number of local projects since he joined the company in 2006. Graduating from UPEI, he took first place in the University’s historical essay contest. He worked for several seasons with the Confederation Players program as John A. MacDonald and for a time served as the program co-coordinator. During his time there, Joey wrote several scripts for the program. He has recently written scripts for i-walk, a virtual historical walking tour of Charlottetown, for Tourism Charlottetown. In his spare time Joey is also an independent filmmaker and has produced the short film Flagwar, and recently premiered a second film, Home Guard. 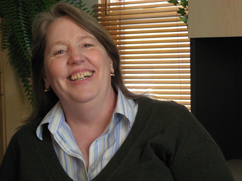 Beryl joined the Moses Media team in 1992 as Project Manager. She has over-seen the production of a wide variety of local television commercials, as well as larger projects such as Cinemaniax, PEI Tourism’s 2002 fall television commercial “OPEN”, and an assortment of video projects for clients such as the Lung Association of PEI, Diagnostic Chemicals, and UPEI. She was a Producer with the Moses Media project Mother’s Milk, a mockumentary television pilot. Since then she has guided most of the projects that Moses Media has been involved in. Beryl is Moses Media’s daily operations manager. David has been working in theatre, film and television for about twenty years. After graduating from the University of Prince Edward Island and attending the National Theatre School of Canada, he returned to PEI to create Off Stage Theatre, a theatre company whose mandate was to develop and produce new work. Most notably, he wrote and directed the PEI Heritage award-winning play The Kelly Murders, and created the very successful comedy revue, Annekenstein, that ran for eight seasons in Charlottetown. After a stint as a producer and director with CBC Television, David went on to start his own production company, Moses Media Inc. The company has produced award-winning commercial work for clients like Prince Edward Island Tourism and Island Tel (now Aliant), and documenting the construction of the Confederation Bridge for Strait Crossing. In 2002 and 2004 he was selected to participate in the Atlantic Film Festival Script Development Program to develop two of his feature film scripts. David has also been writing for network television. 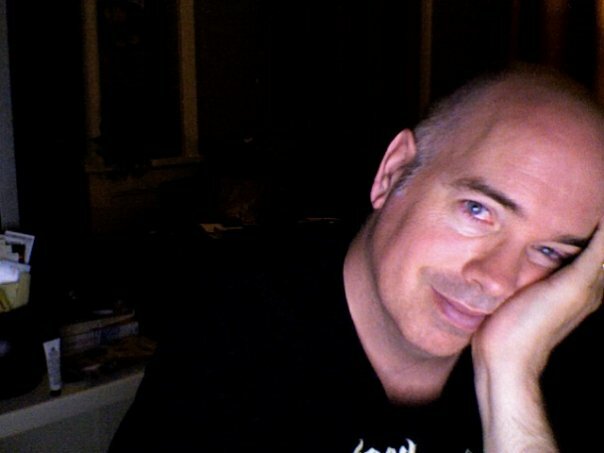 In addition to writing three seasons of the half-hour CTV comedy/drama series Robson Arms, he also worked as the series’ Senior Story Editor, and Creative Producer. This work has resulted in his being nominated for a Gemini Award and a Canadian Comedy Award for his writing. Since the wrapping of the Robson Arms series, he has continued writing for television on a variety of projects for various networks such as Chop Shop (SLICE), Glutton for Punishment (The Food Network), Heartland (CBC), and Hiccups (CTV). Although the networks keep him busy, David has retained his creative leadership of Moses Media.